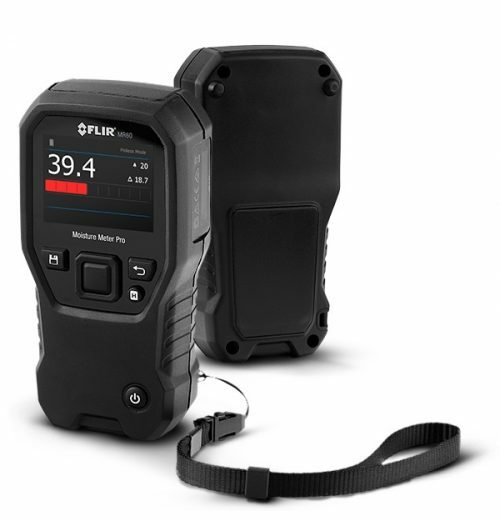 The FLIR CM46 clamp meter is designed for commercial and residential electricians. 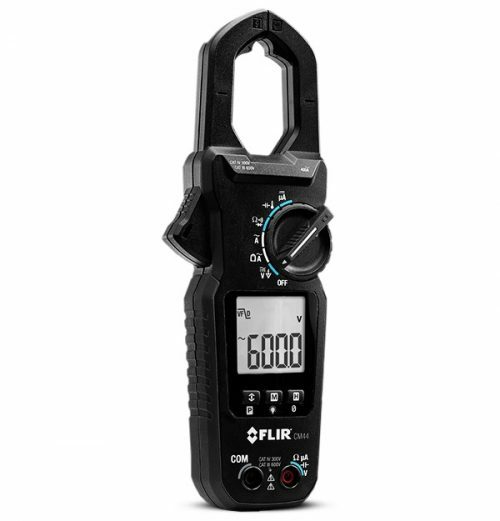 Featuring both AC/DC measurement, the meter is equipped with a bright backlit display for use inside electrical panels. Accu-Tip technology delivers amperage measurements on smaller-gauged wires more accurately — to a tenth of a digit. 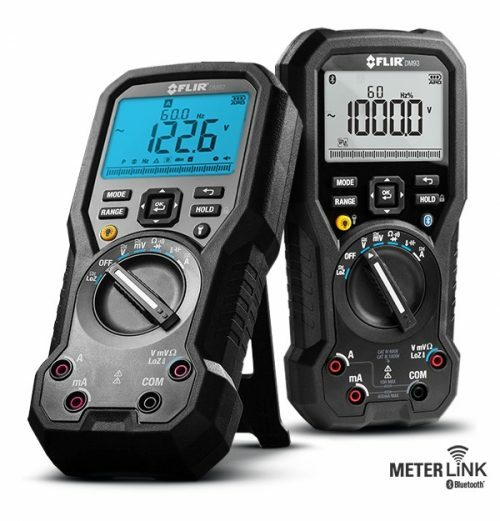 The meter also offers MAX/MIN/AVG recording; measures DCµA, temperature, capacitance, and frequency; and has electrical field detection to help you determine voltage presence and relative strength of the field. Accu-Tip technology gives you highly accurate amperage measurements to a tenth of a digit on small-gauged wires. Operates at temperatures as low as 14°F or as high as 122°F, easy to grip, and 2-meter drop tested. 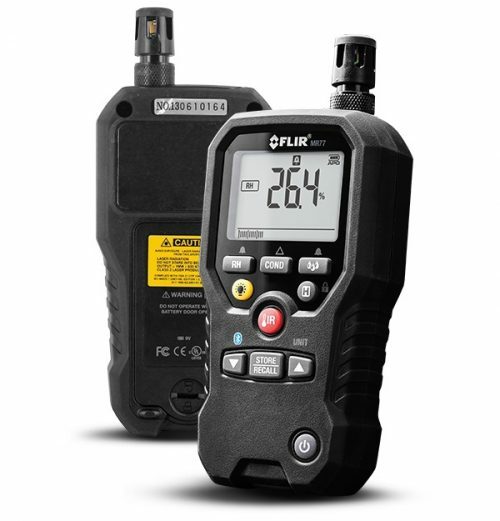 Provides critical features including AC/DC measurement, True RMS, electrical field detection (NCV), and accepts up to a 30mm max conductor.